A Smart View enabled app provides separate views which are connected and running on different devices. The TV version displays a public view of the app that can be enjoyed by large audience. Mobile devices display a private view for individuals who can control the action on the Smart TV. All devices (and the TV) are connected and can communicate with each other. 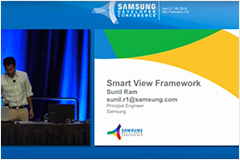 How Does Samsung Smart View SDK Work? 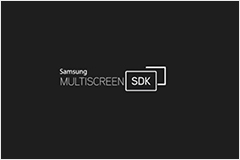 Automatically find and display compatible devices from your mobile app using the Smart View SDK. 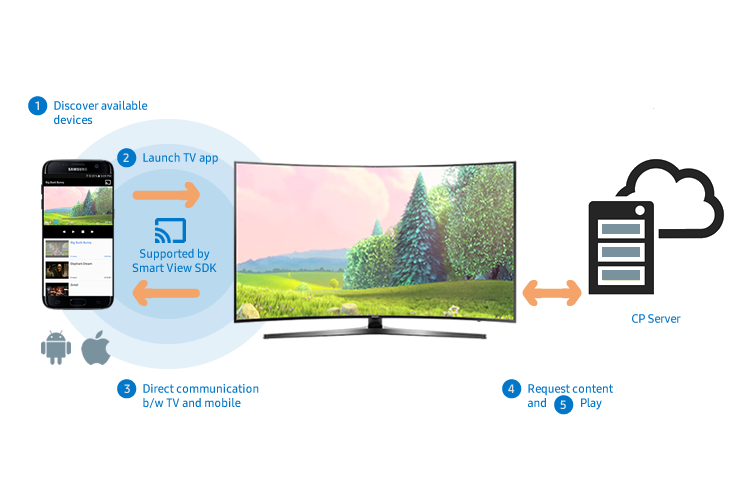 Launch applications on Smart TV from your mobile app. No cables. No account setup. No complex steps for your users. High performance communication between all connected devices. Speakers: Jim DiNunzio, Senior Staff Software Engineer, Samsung Research AmericaSunil Ramakrishnan, Principal Engineer, Samsung Whether you want to provide consumers with a great lean-back video experience or bring them the convenience of a mobile-to-big-screen experience, the Tizen and Samsung Smart View SDKs have the tools you need.